The first panel of the afternoon saw Jack Wu, founder and CEO of Nightingale Security, Eric Rosenblum, managing partner at Tsingyuan Ventures, Savan Devani, CEO of BioTrillion, participate in the “AI + Know Your Customer” panel, moderated by Vivian Li, Director of Cognitive Science at Megagon Labs. The panelists began by describing how AI must develop to achieve commercialization: first, it must understand the consumers’ needs and thus identify customer pain points for specific user application scenarios; then, it must solve these pain points; and finally, the continued and ever-improving application of AI technology in these situations will drive changes in consumer behavior rather than force consumers to accept solutions proposed by AI. Throughout this process, AI technology must deliver cheaper, faster, and more effective results. Most importantly, AI must allow for customization, for consumers to tailor the solutions to their own needs, since they best understand their specific pain points and needs. 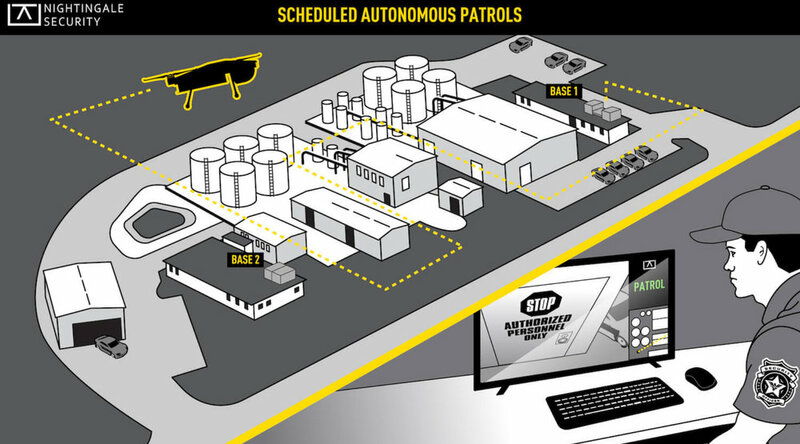 Wu explained that Nightingale Security exemplifies this last point: their technology supports the pre-programming of their security drones to allow for flexible monitoring of different environments. One cannot mention artificial intelligence without also mentioning the problem of data collection. The panelists identified the two main limitations with our current data collection methods as the lack of continuous data and lack of objectivity in data. To this end, Devani introduced BioTrillion’s data collection method for medical health data to the audience. BioTrillion collects data from the consumer’s ambient sensors and wearable sensors to ensure the data is continuous and uses statistical hypothetical testing to ensure the data is objective. With continuous and objective data, BioTrillion can thus predict the probability of developing common diseases and suggest preventive care to consumers. Devani helped clarify the idea of data collection for the audience and we believe that BioTrillion’s data collection method can be applied not only to the health industry but also to other fields. 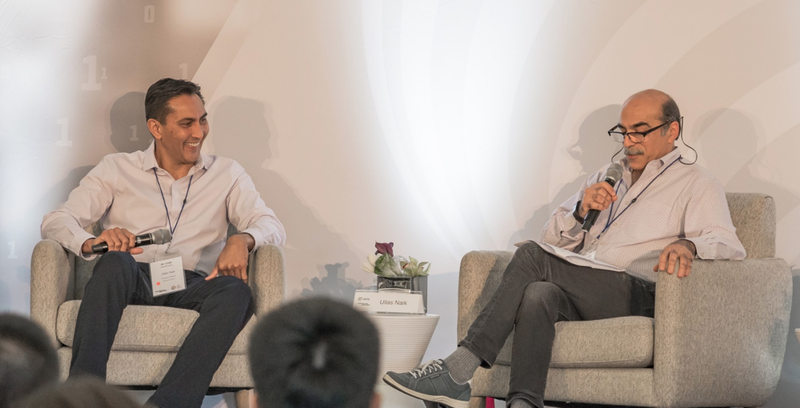 Biotrillion adheres to the philosophy of "data comes from life, data for life"
During the dialogue, the panelists also shared their views on the differences between Chinese and American artificial intelligence. They believe that China's advantage in artificial intelligence technology is its ability to achieve low costs, whether in R&D, production, or manufacturing, whereas the US has the advantage of being the leader in computer vision technology. At the same time, the panelists believe that the implementation of AI has to be tailored to local conditions. For example, since the number of hospitals and doctors per capita in China is less than that of the United States, certain AI technology would be more suitable for mobile platforms rather than in the hospital’s network. By utilizing the respective advantages of each country’s AI technology and implementing technology tailored to local conditions, multinational companies and others can gain a competitive advantage. The future workplace is predicted to be composed of three types of employees—human, robot, and artificial intelligence—just as thirty years ago, the workplace consisted of human employees and computers. Rosenblum illustrated the synthesis of these three elements by explaining a common scenario encountered by DoorDash and similar food delivery services. DoorDash utilizes robots to deliver food but when it is late, DoorDash’s AI network detects this and reports it to customer service, where a human employee then handles the situation. All the panelists agreed that AI will co-exist with humans and robots; in particular, robots with artificial intelligence will be capable of performing tasks that humans are unwilling to do or unable to do well, thus increasing productivity and efficiency. Ever since AlphaGo defeated Lee Sedol, the idea that AI will replace humans has been discussed endlessly. In response, the panelists contended that self-learning AI will not become the reality of our future, because it will be difficult for AI to transcend human capabilities. However, this does not preclude humans from learning from AI in order to change our lifestyles and how we learn. For example, some of AlphaGo's chess move are novice moves that chess masters know to avoid, but the fact that AlphaGo still wins means we can still learn from AI.